“ Aboriginal Peak Organisations of the Northern Territory (APONT ), and our members have received widespread concerns about the debilitating impacts that CDP is having on its participants, their families and communities. Financial penalties were being imposed at an astonishing scale – causing families, including children, to go hungry. All Australians expect to be treated with respect and to receive a fair wage for work. But the Australian Government is denying these basic rights to people in remote communities through its remote work for the Dole program – the “Community Development Programme”. Around 84 per cent of those subject to this program are Aboriginal and Torres Strait Islander people. Most people in remote communities have to do more work than people in non-remote non Indigenous majority areas for the same basic social security payment. In some cases, up to 760 hours more per year. There is less flexibility and people are paid far below the national minimum wage. Aboriginal and Torres Strait Islander people are also being penalised more because of the onerous compliance conditions. In many cases, people are receiving a basic social security payment for work they should be employed to do. The Government’s program is strangling genuine job opportunities in remote communities. The Government’s remote Work for the Dole program is racially discriminatory and must be abandoned. Better outcomes will be achieved if Aboriginal and Torres Strait Islander people are given the opportunity to determine their own priorities and gain greater control over their own lives. 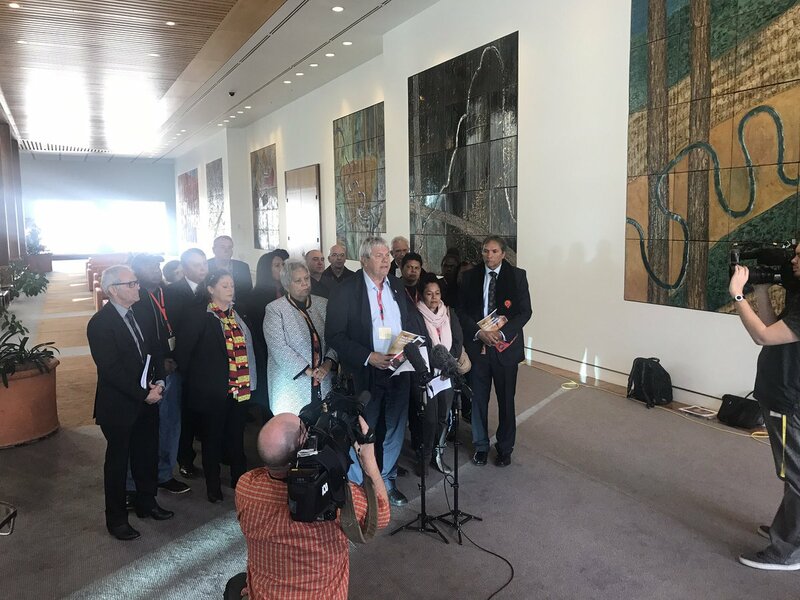 There is an opportunity for the Australian government to meaningfully partner with remote communities, rather than impose a “one size fits all” model from Canberra. Aboriginal and Torres Strait Islander people in remote communities want to take up the reins and drive job creation and community development initiatives. Remote communities need a program that sees people employed to work on projects the community needs. And to do so with decent pay and conditions, and the right to earn more for extra effort. The current program keeps people in the welfare system and excessive penalties see people just disengage. It provides no reward for effort and does not address the need to support people into the workforce. Remote communities need a program that encourages school leavers to move straight into employment or training. Not one that leaves young people trapped in a welfare cycle or disengaged. Tailored community-led approaches are needed that reflect the diverse cultural, economic and social aspirations of Aboriginal and Torres Strait Islander peoples and the realities of the remote job market. 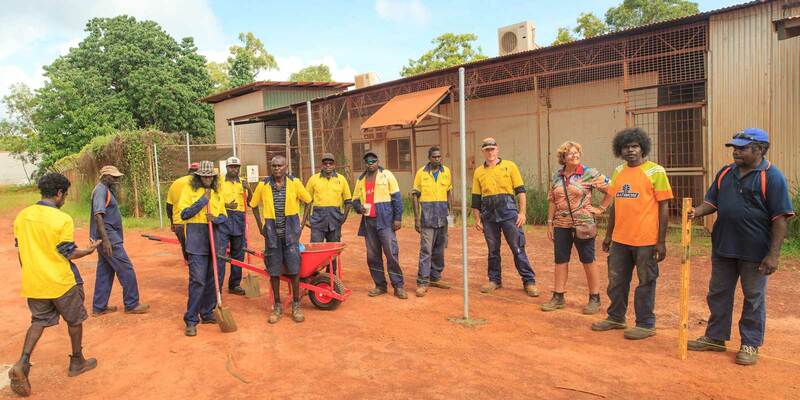 Five Aboriginal organisations in the Northern Territory, working with Aboriginal and Torres Strait Islander remote service providers, have developed a new, fair and positive model for job creation and community building – the Remote Development and Employment Scheme. The Scheme will see people placed into part time work with award wages and conditions. People will be protected by the workplace rights so many Australians take for granted. It would reduce the role that the welfare system plays in people lives. It will see more time and money spent creating new opportunities for jobs, enterprise and community development and less on pointless administration. The Scheme is a place-based and community-driven model. It will establish long term collaboration across governments, employers and Aboriginal and Torres Strait Islander organisations to increase opportunities in remote communities. Critically, the Scheme provides incentives to encourage people into work, training and other activities, rather than punishing people already struggling to comply. 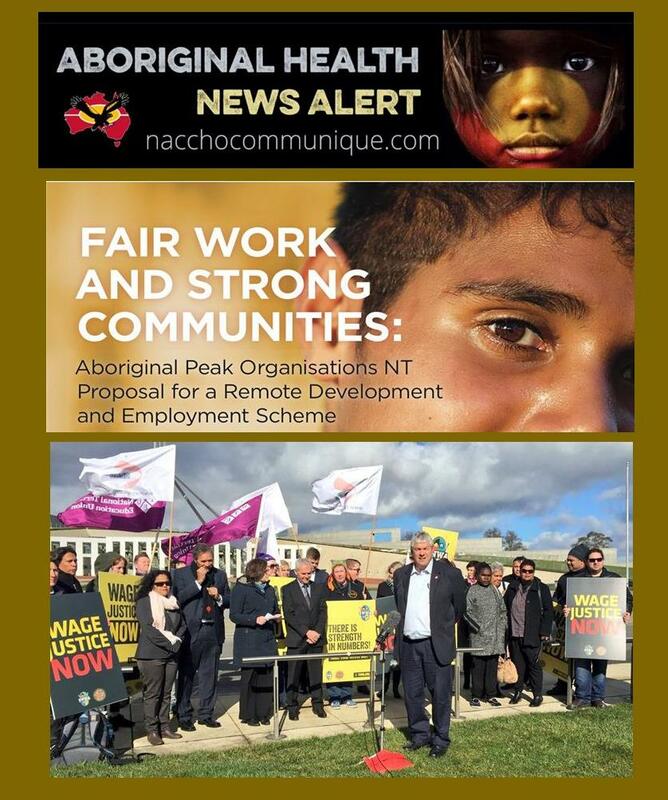 Establish a wages fund to empower Aboriginal and Torres Strait Islander and other local organisations to create 10,500 part time jobs on award wages and conditions, working on services and projects important to their communities, with the ability to “top up” these wages from other funds when extra work is done. Create 1,500 paid work experience and training places for young people, supported by locally driven youth development strategies. Remove the discriminatory requirement for people in remote communities who remain on social security payments to work more hours than people in non- remote areas. Create Remote Job Centres, with local governance bodies, focused on long term support to help people get into work, stay in work, and progress into better jobs based on their skills and aspirations. Retain activity obligations for people who can work and receive social security but aren’t in a job. Obligations will be based on their capabilities and the needs and views of communities. Support people with disabilities and family responsibilities to meet their gaols and contribute to their communities in a manner appropriate to their capabilities and aspirations. Maintain and improve access to government services in remote communities, including Centrelink, and help people with disabilities access the right payment through the support of Remote Job Centres. Ensure the Scheme is managed with Aboriginal and Torres Strait Islander people, through shared learning and evidence, by establishing an independent body with an Aboriginal and Torres Strait Islander led board. An alliance of Indigenous groups has called the government’s remote work for the dole scheme a racially discriminatory, onerous and debilitating program that is causing children to go hungry. The community development program was introduced in 2015, aiming to reduce welfare dependency in rural and remote areas. The scheme relies heavily on private job service providers, and places more onerous requirements on jobseekers, who are required to work or engage in related activities for 25 hours a week across 46 weeks of the year. Its 35,000 participants, who are 83% Indigenous, earn about $11 an hour, and those who fail to meet their obligations face financial penalties. Witnesses told a Senate inquiry on Friday that a lack of job opportunities in remote communities made it unworkable and impractical. Participants have been left to engage in “activity for activity’s sake” with little prospect for learning new skills or gaining a job. If they fail to comply with rigid requirements, jobseekers face financial punishment. The government issued 35,122 financial penalties in the final quarter of last year, mostly through no show no pay penalties, usually of about $53. An Australian National University study showed Indigenous people were 27 times more likely to be penalised by a loss of income than those on a similar program in a largely white area. On Friday the Aboriginal Peak Organisations of the Northern Territory (Apont), an alliance of five groups, gave evidence to a Senate inquiry into the program. One of the members, the chief executive of Aboriginal Medical Services Alliance Northern Territory, John Paterson, said the program was causing significant harm to communities. He said financial penalties were being imposed at an astonishing scale – causing families, including children, to go hungry. “Apont and our members have received widespread concerns about the debilitating impacts that CDP is having on its participants, their families and communities. Such consistent and strong concerns expressed by those at the coalface must be taken seriously and acted upon,” Paterson said. Apont, which was created to end the top-down approach of Indigenous policy, has proposed a new model, which focuses on increasing jobs, boosting community development, and lessening the welfare system’s intrusion into people’s lives. Cassandra Goldie, the chief executive of the Australian council of social service (Acoss), said the significant resources being spent on the CDP – about $268m in 2015-16 – would be better directed to creating employment in rural communities. “When the term ‘welfare dependency’ is used, it’s often understood that it’s the social security payment that’s the problem,” Goldie said. “But … the very important task of generating local employment, real employment opportunities, that is where the significant capabilities of the commonwealth, institutionally, should be coming in behind the deep desire by Atsi [Aboriginal and Torres Strait Islander] leadership, and also Indigenous people locally, to drive this agenda,” she said. That was a position backed by non-profit job service providers, represented by the chief executive of Jobs Australia, David Thompson. “There’s been nothing done, nothing of any significant note, to actually increase the stock of jobs in those communities,” he said. The Department of Social Services was questioned about why it imposed stricter requirements on participants of the CDP. The DSS’s Bronwyn Field said the government had heard significant concerns from community leaders about sit-down welfare. To resolve that, it had decided daily activities from participants would be required. “The government, when they started consultation prior to introducing the CDP, spent a lot of time with communities. One of the clear pieces of feedback was the fact that many Indigenous community leaders were concerned about people … doing sit-down welfare,” Field said.